My thoughts: This book wound up being different than I thought it would be, but not in a bad way! I thought that the story of Riki was an interesting, albeit sad, one. When she finds herself shipwrecked due to the sacrifice of the only one who has ever loved her, she must find her own way to battle the evil forces that have been such a big part of her formative years. My thoughts: I looked forward to reading this book, since it sounded like quite a fun story! It is a good tale, though I would be remise if I didn't put in my review that I was a bit disappointment with some of the writing. At times, the author would go into lengthy descriptions that I felt detracted from the story. That said though, I still enjoyed the story and that it catches readers up on the Madison family. It's hard to talk a lot about this book without giving away the story. Suffice it to say, there is a lot going on and it is worth reading. I thought that the story was interesting and look forward to the third installment! As I snuggle with my little girl before embracing the delightful craziness of Thanksgiving, I can't help but reflect on the blessings that God has given me. A loving husband, a beautiful daughter, wonderful family, an incredible church family, a roof over our heads (it's even a new one! lol), health, my MIL making it through surgery and radiation, and most of all, His grace. 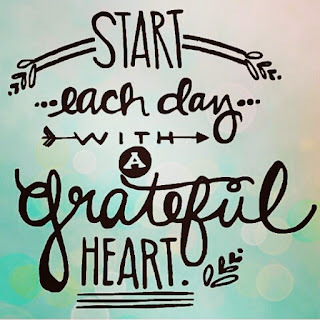 I have a lot to be thankful for, yet I don always choose to focus on the blessings. So, I want this coming year to br different. 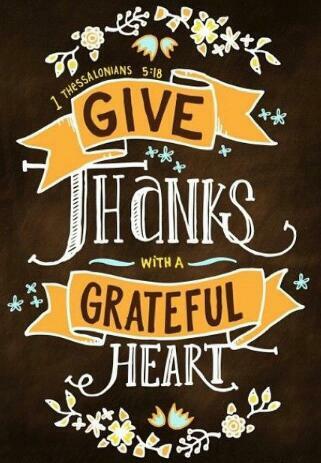 I want to choose to focus on what I am thankful for, and challenge each of you to do the same. I know, even though it may feel like Winter some days, doesn't mean that it is actually Winter. 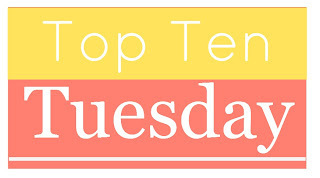 This one is early, with all the end of the year themes that Broke and Bookish is doing. So, here is my Winter TBR list! I'm sure I have said it before, by I am a total sucker for fairy tale type stories. So, I can't wait to dive into this gorgeous book! This story looks cute! It just arrived in the mail from Lit fuse, and I look forward to starting it. Has anyone else read this book? It looks like it could be fun. I just got it in from the library.. I like this author's stories, but I also feel just a tiny bit torn over them. I hope that this book will solidify her as a favorite author! I probably shouldn't read this one.... Call it morbid fascination with what the FDA allows in our food. I really need to read this one, since Persuasion is my favorite out of Jane Austen's novels! Another favorite author that I can't believe I haven't read her latest book yet! The courage and resilience she’s seen on both sides of the fence—from staff members to clients in crisis to prayerful volunteers. My thoughts: Wow, I was blown away by this book! As a young woman who has been on both sides of the argument of abortion, this book is a must read for anyone who debates about abortion. This book is also a powerful tool for Christians and those in ministry to know how to better reach out to those who have had a abortion. I think this is a powerful tool to equip us individually or to help reach out to those who have experienced the ripples of abortion. 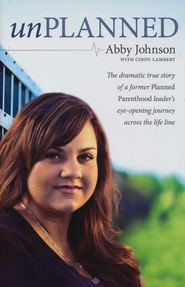 Whatever side of the argument you fall on, I think that this is a wonderful book for you to read, since Abby Johnson is a passionate author/speaker about what she believes. Klaus-Dieter and Martina John–both brilliant, talented, and highly qualified doctors–turned their backs on lucrative careers to follow their dream to open a first-rate medical facility for the Indians of the Peruvian Andes, some of the world’s poorest people. The Peruvian Andes natives suffer appallingly from the diseases of poverty and, although they make up approximately 40 percent of Peru’s population, are ignored by the authorities. My thoughts: This is such an exciting book of testimonies of what God can do when people seek to show His love to others! I very much enjoyed reading through this book, though sometimes it was a bit stilted, I think due to being translated. That didn't take away from the message that Klaus-Dieter and Martina share through their work! My thoughts: I have long enjoyed the Jackson's stories, starting at a young age with their Trailblazer books (which, if you haven't read them, I highly recommend them! I think I need to complete my set of them before Aster can read...;)). With the Windy City Neighbor series, the Jackson's have brought a new type of series, where the stories run parallel to one another (something I haven't experienced until this series!). New characters and old friends are brought into play with this series about God working with a community. I think this book is relevant to what a lot of families are going through with the economy such as it is. This book also has a wonderful reminder of being happy with what we have. Two thumbs up! My thoughts: I was not disappointment with this story! I think that Julie Klassen's stories get better and better. :) I love that this story has a lot going on, Abigail's personal struggles from letting her family down, dealing with feeling inferior to her younger sister, uncovering the mystery of Pembrooke Park. It's wonderful! The mystery is so engrossing, this book is hard to put down! Why has the house been abandoned for 18 years? As Abigail returns the house to its former glory, she begins receiving letters from someone who once lived in the house. Can she help bring light and healing to old wounds? The only thing I had against this book is that it felt like some of Abigail's actions would not of been those of a lady in the Regency period, since she has all kinds of characters coming and going from her room. It's just one of those little things that bugged me, since that would of ruined a lady's reputation back then, I am sure. Otherwise though, the story is wonderful and engrossing, a perfect companion on these colds days! I reviewed this book from Netgalley.com in exchange for my honest opinion. I'm not sure that this is technically the sequel to Entwined, but it might be. ;) I need to look up more about the book. All I know is that I have been waiting for ages for Heather Dixon to come out with another book! The first one was interesting, so I look forward to seeing how the characters fare. In this imaginative retelling of Beauty and the Beast, Bella is a spoiled brat who’s sent to the Beast’s castle as punishment for her selfishness. More than just their personalities clash! As Bella improves the Beast’s manners, she also finds herself changing for the better. Bella must choose whether to follow the path she’s always dreamed of—or risk it all for something even greater. My thoughts: I love a good re-telling of a fairy tale, especially of my favorite one: Beauty and the Beast! I was quite thrilled to get this in my mail the other day, and couldn't help starting it. ;) Bella was not at all how I would of pictured her, as she sacrifices those she loves in order to obtain the things she thinks will help her secure a wealthy husband who will rescue her from her humble home. When her selfish nature causes her father to owe a debt he cannot pay, her siblings offer Bella as a servant to the Beast. As Bella grows up and learns the meaning of true beauty, it is easy to start to like her and enjoy her journey. I love the characters in this story! It is filled with unexpected twists and is one that I would love to revisit in the future! About the author: Sarah E. Boucher spends her days instilling young children with the same love of literature she has known since childhood. After hours, she pens her own stories and nurses an unhealthy obsession for handbags, high heels, baking, and British television. Sarah is a graduate of Brigham Young University. She lives and teaches in Ogden, Utah. 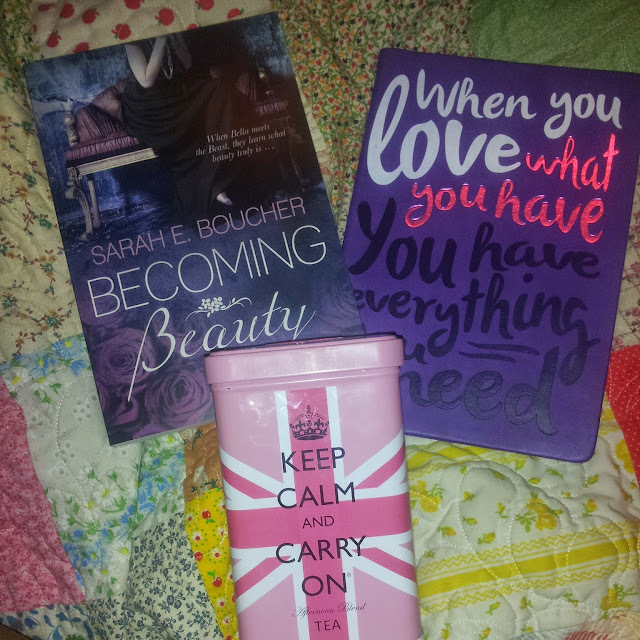 Becoming Beauty is her first novel. 2. 'Tis the season to reflect on our blessings. I adore this printable. It serves as a wonderful reminder to live a life full of gratitude. A couple of years ago, a dear friend sent me One Thousand Gifts . What an awesome reminder to savor the little things that make life so wonderful! 3. The song Dancing in the Mine fields by Andrew Peterson. My thoughts: Katherine Reay has solidified her position as one of my favorite authors with this story! I may have liked Dear Mr. Knightley best, but this one is still an amazing story of two sisters working through their old hurts and building a future. 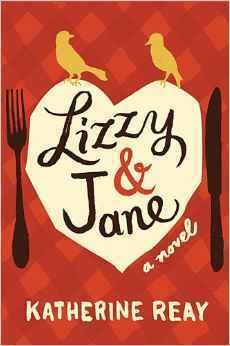 I could relate to Lizzy, as she struggles with re-discovering her passion. I love the concepts she pulls into her cooking! The characters in this novel are flawed and very real as they struggle with their emotions. I think their struggles make me love them all the more. :) I also like the journey that this story takes readers on. This is definitely one of the best books I have read this year! Written by one who has "been there and done that," Peter offers caregivers practical advice for everyday living. This book is an important resource for caregivers—and for those who care for the caregivers. —KENNETH L. FARMER, Jr., M.D. Peter is authentic in his understanding and awareness when he writes about caregiving—he knows the journey intimately. He is also theologically wise in the midst...when he says,"we are stewards not owners." I would imagine that most of us don't put a whole lot of thought into being a caregiver, until that day comes. In this book, Peter Rosenberger shares his journey as a caregiver to his wife, an adventure that started sooner than he would of thought. Beautifully written and filled with honesty, this book will encourage those who are in a caregiver roll. I haven't been put in the role as a caregiver yet, but I know that the chance has been there several times, just never materialized (with my grandparents). I read this book with the future in mind, I guess you could say. ;) While I didn't personally relate to this book, I think it would be a wonderful resource for churches to have on hand to help ministers know how to relate to those who are caregivers and also for caregivers in the congregation to be able to turn to and find support. I can imagine that having a strong support base would be so important when a caregiver. So, to sum up my thoughts, I think this is a wonderful book for caregivers! With the help of her new friend Paul, Amber sets out to solve the family’s financial problems by involving the entire community. And as the two friends work together, they discover that creating a Christmas miracle may also have some unexpected benefits. Filled with romance and kindness, this story of hope and faith will warm your heart. My thoughts: Normally, I am not really a fan of novellas, since I like more character development then most offer. I'm glad that I didn't let that stop me from picking this book up! This story is a sweet tale of a holiday miracle that takes place in a small town, after tragedy has struck. As the town pulls together to help cover the bills of poor Mary Noel, love blossoms for her kind teacher. This story is filled with some surprising depth! I feel in love with the characters and their quaint town. I reviewed this book for Cedar Fort and they have generously donated a copy of this novella (in e-book format) for one lucky winner. If you are interested in reading A Holiday Miracle in Apple Blossom, just leave me a comment with a way to contact you (through email, your blog, or Facebook). I will draw a name on Monday, November 10th. If you are coming from Facebook, please leace a comment here, so I know you want to be entered in the giveaway! Using just one pan, you can stew, steam, sauté, simmer, braise, or roast your way to a fuss-free meal—and minimal cleanup to boot. At the end of a busy day, you want to serve a delicious home-cooked dinner, a complete, all-in-one meal that can be prepared with little effort and few pans to wash. The editors of Martha Stewart Livingpresent a brand-new collection of 120 recipes—organized by vessel—to help you do just that, all while adding savory new dishes to your weekly rotation. 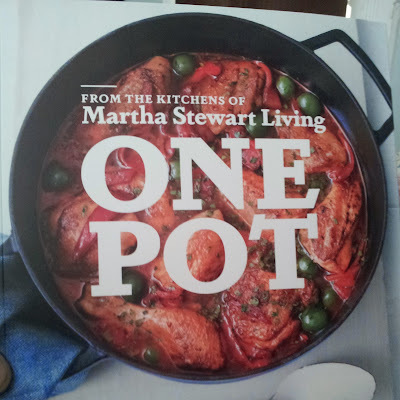 One Pot is an exciting new way to approach everyday cooking: Imagine perfect pasta dishes for which everything goes in the pot at once (yes, that’s pasta, tomato, garlic, basil, and water all cooked together), dinner-party ready roasts with tender vegetables, and down-home casseroles, along with wholesome fish, chicken, and vegetarian dishes. You’ll get incredible flavor payoff from dishes such as comforting Chicken and Dumplings, easy Baked Risotto with Carrots and Squash, healthy Broiled Striped Bass with Tomatoes, hearty Pork Chops with Bacon and Cabbage, and the delectable Skillet Chocolate-Chip Cookie—each of which takes less than an hour from start to finish. Here, too, are a dozen outstanding recipes for surprising and simple desserts that can be ready when you are. With chapters devoted to your essential cooking vessels—stockpot, skillet, slow cooker, and more—this book is sure to streamline your meals and to satisfy the people you share them with. I was surprised at the variety this cookbook has! I guess I thoight that the recipes would be mostly those devpted to using a crockpot. I'm happy to be wrong! I like that this cook book gives one so many great ideas on what to make in an iron skillet, pressure cooker, slow cooker and more! Another thing I really appreciate about this cookbook is that a lot of the recipes are fun ways to use seasonal produce. Perfect for those of us who garden or enjoy going to farmers markets! I think this book is wonderful, and I look forward to usi.g it more! I received a copy of this book from Blohging for books in exchange for my honest review. My mom makes the best pickled okra. When we first started going to farmer's markets in the area, there were a couple of farmers who figured out just how good her's is, so they were more than happy to give her okra at the end of the day in exchange for a few jars of it pickled in return. It was a good trade for all of us (even if I was one of the ones who had to peel all that garlic!). Wash okra and pack firmly in hot, sterilized jars. In each jar, be sure to place your garlic and peppers in! Make a brine with the vinegar, water, salt and spices. Boil the brine for a minute, then reduce heat. Pour the boiling brine over the okra, leaving a half inch headspace at the top. Seal. 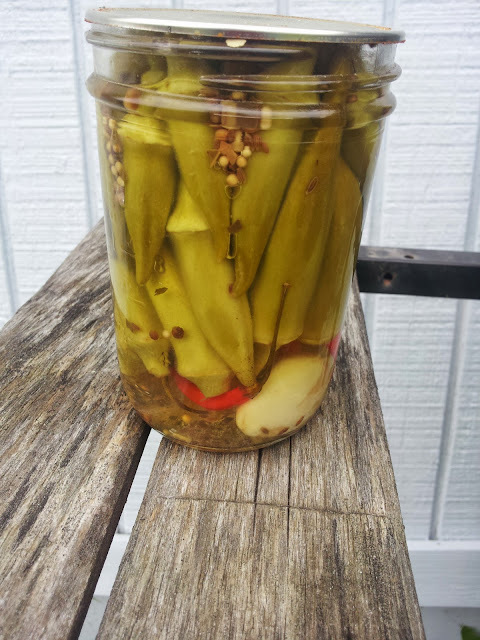 This recipe also works well if you want to just do refrigerator pickled okra. Just omit the water bath and place the unsealed jar or jars in the back of your fridge. A gallon jar works well for refrigerator pickles. Another side note: I seem to always have more brine than okra, so I just get more okra out of the garden and pack more jars. Anyway, I hope you enjoy this family favorite! Really, the whole "series". I think I was in my early teens when I first read this one, so it would be nice to read it again. I've read it twice, and I'm ready to read it a third time as a family! It's been too long since I last read this one! I need to pick it up again, since I feel like I would appreciate it so much more now. I remember adoring this series when I was young, so I can't wait to pull it out to read to Aster in a few years. This is another one I look forward to reading with my little girl! Another favorite that I think I would appreciate more the second time around. Another classic children's book to read with Aster! What books are on your list? Do you think you will look at a book differently when you read it through a second time? Aster is quite a fan of being outdoors, especially on my parents front porch swing! We were enjoying one of the last days of summer like weather. The weather has been so nice this Autumn! It makes it all the harder now that things have taken a turn towards colder days. My husband and I are attempting to put up a high tunnel in our garden to lengthen our growing season. Needless to say, we have a steep learning curve (as seems to be the case with any garden type projects we take on! ), and the wind has made it hard to keep the thing up. We may have to switch gears and work with cold frames, since they are closer to the ground. ;) Our fiasco with the high tunnel may cause us to bump a small green house up the list of things we need on our place... Any tips on how to extend our garden season would be appreciated!